Categories: World Instruments, Jews Harp. 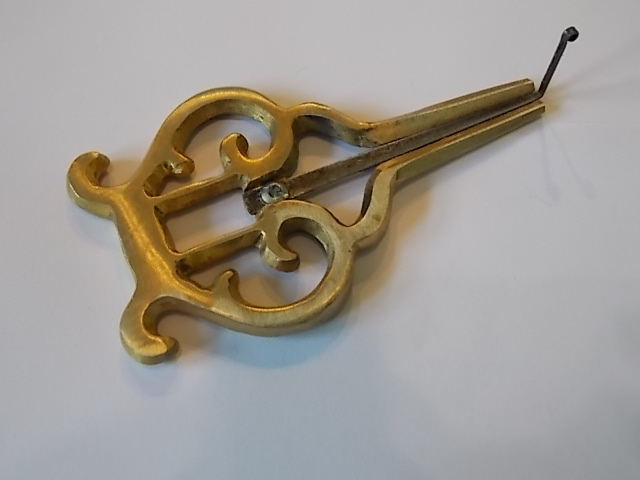 The Jew’s harp, also known as the jaw harp, mouth harp, Ozark harp, trump, or juice harp, is a lamellophone instrument, which is in the category ofplucked idiophones: it consists of a flexible metal or bamboo tongue or reed attached to a frame. The tongue/reed is placed in the performer’s mouthand plucked with the finger to produce a note. The frame is held firmly against the performer’s parted teeth or lips (depending on the type), using the jaw and mouth as a resonator, greatly increasing the volume of the instrument. 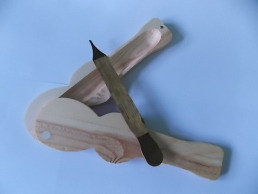 The teeth must be parted sufficiently for the reed to vibrate freely, and the fleshy parts of the mouth should not come into contact with the reed to prevent damping of the vibrations. The note or tone thus produced is constant in pitch, though by changing the shape of his or her mouth, and the amount of air contained in it (and in some traditions closing the glottis), the performer can cause different overtones to sound and thus create melodies. The volume of the note (tone) can be varied by breathing in and out. This instrument is considered to be one of the oldest musical instruments in the world; a musician apparently playing it can be seen in a Chinese drawing from the 4th century BC. Despite its common English name, and the sometimes used Jew’s trump, it has no particular connection with Jewsor Judaism. This instrument is native to Asia and used in all tribes of Turkic peoples in Asia, among whom it is variously referred to as a temir komuz(literally, iron komuz), agiz komuzu (literally, mouth komuz), gubuz or doromb. The instrument is known in many different cultures by many different names. 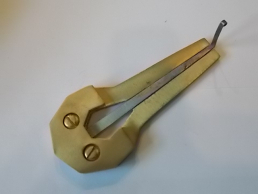 The common English name “Jew’s harp” is sometimes considered controversial or potentially misleading, and is thus avoided by a few speakers or manufacturers. (For example, the above-pictured tie-in Jew’s harp from the movie A Boy Named Charlie Brown is sold as “Snoopy‘s Harp” instead.) Other speakers believe the avoidance of the term to be offensive and deliberately use the term so as not to cause offense. Another name used to identify the instrument, especially in scholarly literature, is the older Englishtrump, while guimbarde, the French word for the instrument, can be found in unabridged dictionaries and is featured in recent revival efforts. 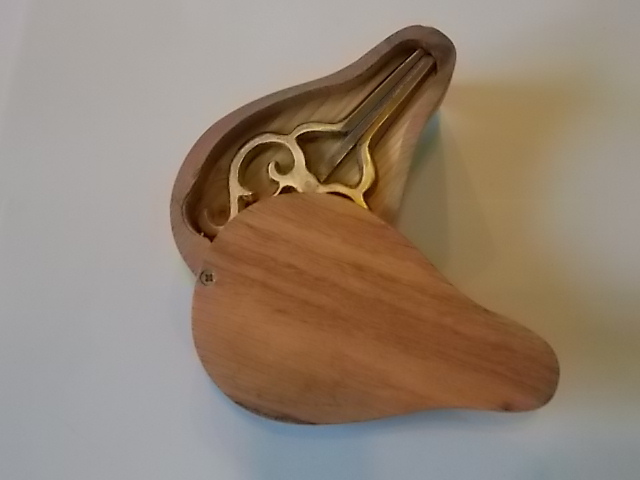 Since trances are facilitated by droning sounds, the Jew’s harp has been associated with magic and has been a common instrument in shamanicrituals. The temir komuz is made of iron usually with a length of 100–200 mm and with a width of approximately 2–7 mm. The range of the instrument varies with the size of the instrument, but generally hovers around an octave span. The Kirgiz people are exceptionally proficient on the temir komuz instrument and it is quite popular among children, although some adults continue to play the instrument. There is a National Artist of Kyrgyz Republic who performs on the instrument, temir komuz. One time twenty Kirgiz girls played in a temir komuz ensemble on the stage of the Bolshoi Theater in Moscow. Temir komuz pieces were notated by Zataevich in two or three parts. Apparently an octave drone is possible, or even an ostinato alternating the fifth step of a scale with an octave. There are many theories for the origin of the name Jew’s harp. According to the Oxford English Dictionary, this name appears earliest in Walter Raleigh’s Discouerie Guiana in 1596, spelled “Iewes Harp.” The “jaw” variant is attested at least as early as 1774 and 1809, the “juice” variant appeared only in the late 19th and 20th centuries. It has also been suggested that the name derives from the French “Jeu-trompe” meaning “toy-trumpet”. The instrument, known as morsing in South India, is part of the rhythmic section in a Carnatic music ensemble. 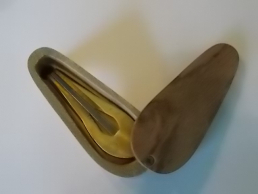 The bamboo jaw harp, known as kubing or kumbing is used by various Filipino peoples throughout the Philippine archipelago, and features in various neo-folk songs by artists like Joey Ayala and Grace Nono. The northern Igorot groups are the only people who produce the afiw or Jew’s harp made from bronze. The instrument is also used by Sakha or Yakut people and Tuvans with the name xomus, or khomus. 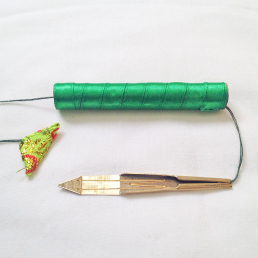 In Sindhi the jaw harp is called Changu (چنگُ). In Sindhi music, it can be an accompaniment or the main instrument. One of the most famous players is Amir Bux Ruunjho. 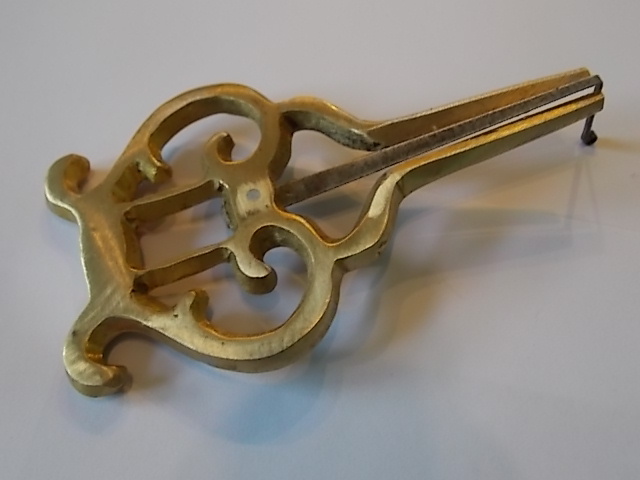 The jaw harp is frequently to be found in the repertoire of music played by alternative or world music bands. Sandy Miller of the UK-based Brazilian samba/funk band Tempo Novo, plays a Jew’s harp solo in the piece Canto de Ossanha.